In 2004, AYM conducted a feasibility study in Sierra Leone to determine the strategies for the first chapter of the Movement. 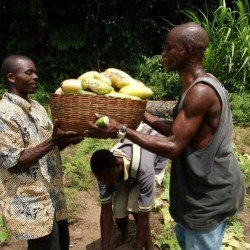 The feasibility study, in addition to other research, concluded that the most significant areas of opportunity in the private sector of Sierra Leone are agriculture and tourism. Much of the land in Sierra Leone is very fertile, yet foodstuffs are one of the country’s main imported goods. 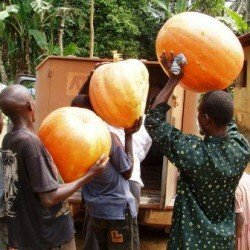 There is a strong need to introduce new vegetables and fruits to Sierra Leone, especially varieties of short-duration and high nutrition so that routine planting will yield continuous produce and improve the population’s overall health. In launching the Sierra Leone Youth Vegetable Gardens program in 2007, AYM opened three agriculture sites to grow new crops like lettuce, carrots, cabbage, onions, radishes, cucumbers, tomatoes, peas, green beans, and a wide variety of other vegetables and herbs in Sierra Leone. The three sites – Mattru Jong, Georma (Jong), and Mobimbi (Imperi) – make up the foundation of AYM’s agricultural program. AYM is using the best practices method to create a comprehensive guide to starting and maintaining new garden projects to be able to spread the programs across Bonthe District 2016. Nearly 53% of the population lives on less than $1.25 a day, according to the World Bank. UNICEF reported last year that about 34% of the population is physically stunted due to malnutrition.